As your build runs, Ant Utility measures how much time is spent in Ant tasks and targets. When the build is complete, build metrics are presented in an Eclipse editor, showing exactly which parts of your build file are taking the most time. 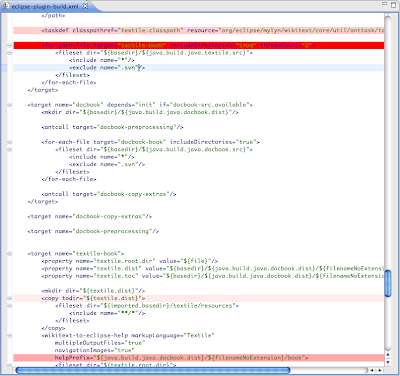 Double-click on an entry to open the build file in the Ant editor, with problematic lines presented in varying degrees of red depending on the level to which the task or target contributes to the overall build time. Ant Utility is not designed to replace a full-fledged profiler, however it can give you fast insight into build file problems in the language of your build script. 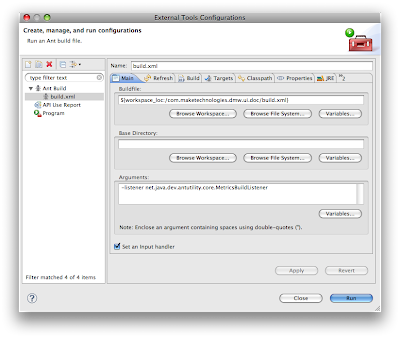 Ant Utility has almost no overhead and is simple to configure. At this point you can run your build. 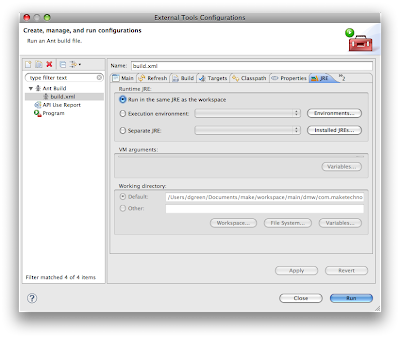 When your build completes successfully, build metrics will appear in Eclipse. Hopefully you're off to the races, returning to snappy, healthy builds in no time flat!